Bond No. 9’s best-kept secret is out: Free full-size perfume refills in 2016! Bond No. 9’s best-kept secret is out: Free full-size perfume refills! Bring us any and all of your empty perfume containers, and we’ll give you a new bottle—on us. At Bond No. 9, we keep secrets. Some of them, we’ll never divulge—like the formulas for our celebrated, award-winning eaux de parfum, and customer secrets that are, ahem, totally safe with us. But then we’ve got other secrets that are too irresistible not to be shared. Our inimitable free refill program, for instance. Quietly in operation since 2007, it’s whispered about among the most passionately committed of our loyal cognoscenti and connoisseurs. So popular is this semiannual event that many Bond No. 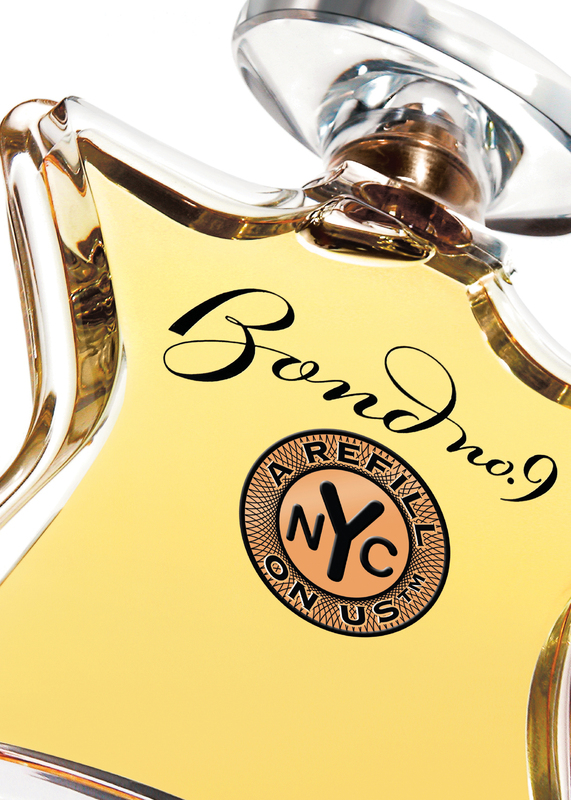 9 aficionados use the opportunity to stock up on as-yet untried scents. From Thursday, October 27 through Wednesday, November 9, you bring your empty scent containers, regardless of brand, to any Bond No. 9 counter. 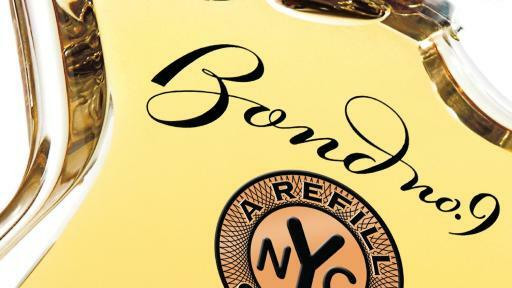 By way of thanks, we’ll reward you with a large-size (100ml) bottle of your choice from among a curated range of 16 of our most stellar, most coveted Bond No. 9 eaux de parfum. Just one caveat: You must purchase any two Bond No. 9 items, (including a full-size, 3.3oz fragrance). The upshot? You’ll be in possession of three new bottles of perfume. And here we have a suggestion. Keep one for yourself—you deserve it. But give the other two to a family member, your significant other or cherished friend, your favorite neighbor or office colleague, your lawyer, doctor, broker, dry cleaner, computer guru, etc. And remember: sharing and generosity of heart are very much in style. That’s no secret.